After almost 90 years, the Bohn family of Woodstock is exiting the hardware business and selling its store on Route 47. Ernest “Ernie” Bohn Sr. started his career in hardware retailing in 1921, and in July 1929, with his sisters, Minnie and Edith, he bought the former Osborn Hardware at 104 Cass St. His grandson and current co-owner, Phil Bohn, said Ernie got interested in the hardware business while attending school at the University of Wisconsin-Madison. He specialized in window treatments at the city’s largest hardware store, Wolff, Kubly and Hirsig Co.
After dropping out of college, Ernie returned to Woodstock and landed a job working at A.O. Osborn Hardware Co. He spent two years learning the business before opening his first store, where The Thoughtfulness Shop now is located. 111 Van Buren St. 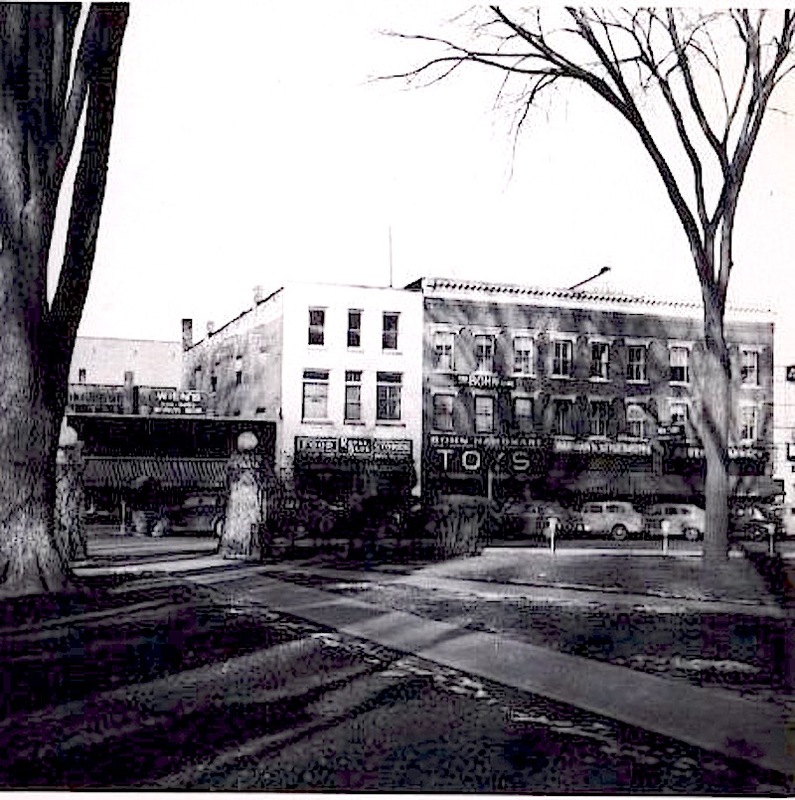 In July 1954, the family combined both operations at the Van Buren location and renamed it Bohn’s On the Square. It was about that time that Bohn’s became an affiliate of Ace Hardware. The 12,600-square-foot store featured multiple levels, with hardware on the first floor; housewares, appliances, paint and gifts on the second; and toys, bikes, sporting goods and outdoor furniture on the third floor. I still remember the narrow aisles, chocked full of games, models and other “Toyland” staples, which grew even more popular during the holiday season with the arrival of Santa … once by parachute. When Ernie retired in the 1960s, he left his sons, Larry and Earnest Jr., in charge. In 1976, the current Ace opened in a remodeled A&P grocery store at 150 S. Eastwood Drive. For a time, housewares, gifts and toys continued to be sold on the Square. Larry ran that store and his older brother, Ernie Jr., ran the store on Route 47 until they expanded in the early 1990s and left the Square. So it should come as no surprise that Bohn’s Ace Hardware is in the midst of a huge retirement sale. Henry Patel, owner of Armanetti Beverage Marts in Woodstock and Huntley, bought the business and property from the remaining owners – Phil; his mother, Ruth; and is aunt and uncle, Deanne and Larry Bohn. Phil, 56, expects that Ace Hardware will be part of the new development – possibly after the Route 47 improvements are complete. He even left open the possibility that he might return to work there … part time. But for now, he is eager to do some hunting and fishing. The McHenry County Historical Society’s 41st annual Cider Fest is Oct. 7. It will include live music, a white elephant sale, an apple bake-off competition (including a new commercial category for apple pies), a barn raising, old-fashioned cider pressing (apples donated by Lang’s Orchard of Woodstock) and blacksmithing and broom-making demonstrations. Visitors to the free fest also will be able to experience a Civil War encampment, courtesy of the 36th Wisconsin Voluntary Infantry. Re-enactors plan to bring a nonworking howitzer and a demonstration telegraph station, as well as participate in black-powder drills. Gen. Ulysses S. Grant, portrayed by Wayne Issleb, will be joined by both Union and Confederate troops at an encampment. The idea is to demonstrate the camaraderie that existed between both sides once the day’s fighting was over. 4 p.m. at the museum, 6422 Main St., Union. In addition to free access to the museum, visitors are invited to participate in an apple dessert contest or choose from a variety of other homemade apple treats; help with a barn raising starting at 11:30 a.m. and listen to the sounds of Die Musikmeisters starting at 12:30 p.m.
2:30 p.m. Lincoln made the famous speech Nov. 19, 1863, upon the dedication of Soldier’s National Cemetery – a cemetery for Union soldiers killed in the infamous battle near Gettysburg, Pennsylvania. Published Sept. 24, 2018, in the Northwest Herald.